Capitol Park Little League's goal is to provide a safe environment for the youth of our district to participate in organized sports. By bringing Little League Baseball and Softball to our youth we can begin the foundations of building a strong community around us. Join us to continue providing for our community for the future. Capitol Park Little League was formed with the merger of Northeast and Perrin Beitel Little Leagues. Little League Baseball and Softball have been played at our current location for over 50 years. We have provided fields for multiple other events over the years and look forward to providing a premier venue for the youth of our community for 50 more years to come. 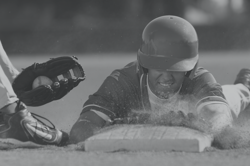 We have multiple fields from a T-ball field to our two high-school regulation size fields. We currently able to run one concession stand at the south end of our complex and can support multiple games on multiple fields at the same time.